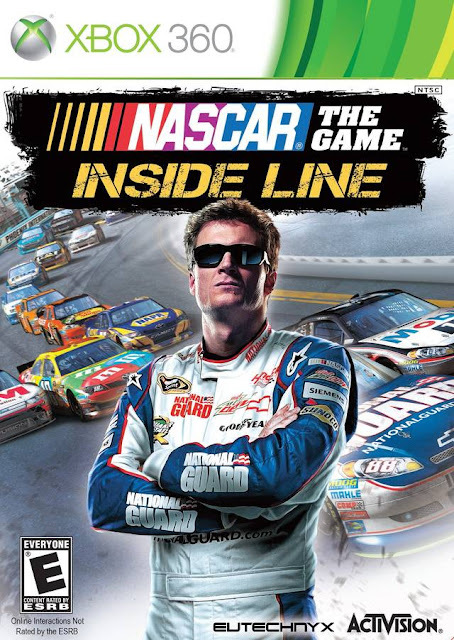 NASCAR The Game: Inside Line is the latest from the publisher Activision bringing you the official NASCAR experience. 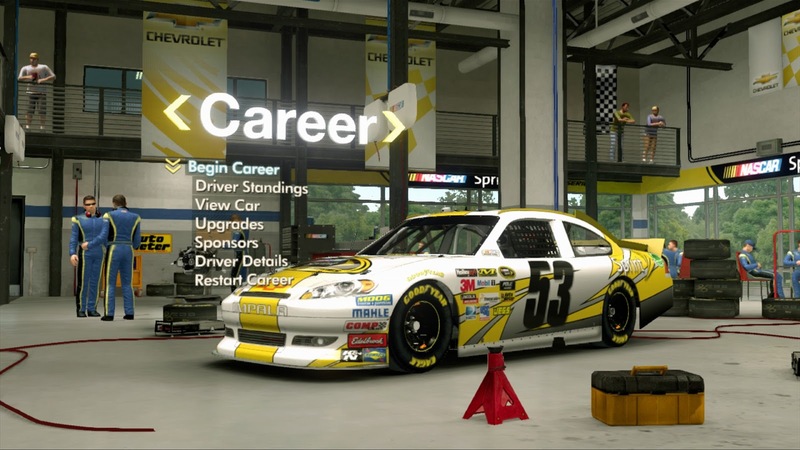 Do you have what it takes to become the next Sprint Cup Series champion? If you’ve got the tenacity to duke it out with the sport’s current legends, this is the game for you. The drivers, the tracks and the roar of the engines, all this title is missing is the smell of the rubber and the fuel. 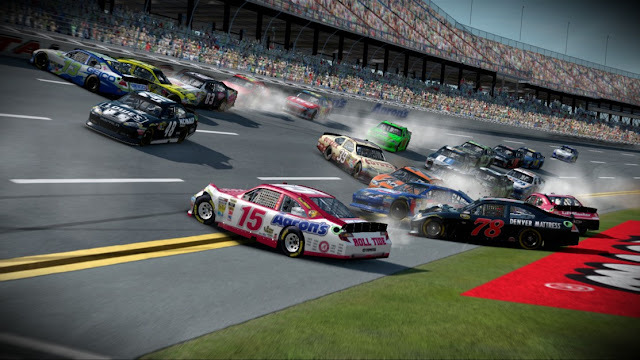 Inside Line offers a variety of game modes from the online multiplayer, single player and to the in depth career mode. Even though locally you can only play up to 2 players the tables turn with an awesome online multiplayer mode with up to 16 players. Getting started in career mode you start out as a rookie driver trying to make a name for himself. If you're looking forward to customizing the driver to your liking, this is one area of disappointment. After you're all set up, start your engines because its time for the grueling sport they call NASCAR. Graphically the tracks are amazing, I had the opportunity to race on a few tracks I’ve personally been to. Everything down to the physics of the track can be felt in this game. You actually can feel your car pull a “G” hitting a curve at 170 MPH. During the race, your weaving in and out of the line trying to steal a position as the pit crew is in your ear giving you strategy to take the checkered flag. 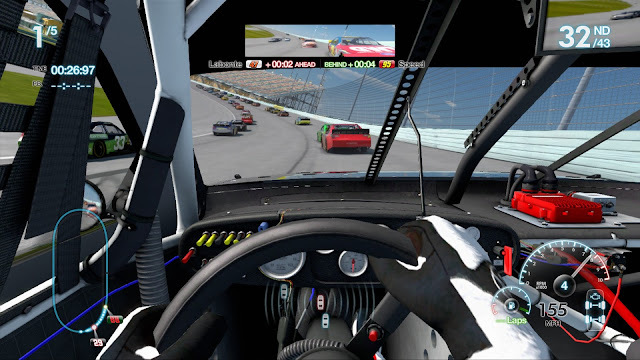 Time for a pit and you can control your pit crew’s action with a combination of buttons. A number 2 with extra cheese please! I’ve never seen a racer so complex, I was a bit overwhelmed the first few races in. What’s also pretty slick is that you don’t have a run the entire race. You have the option of cutting your number of laps to fit your schedule or attention span, whichever is the shortest. There were a few things I like that they could’ve improved on by adding them to the title. One, is that I didn’t get to customize my driver as I would’ve preferred. Two, I think they could’ve implemented the use of the Kinect technology to a certain extent. I would be very helpful if I could’ve voice commanded my pit crew instead to trying to remember the all the options or read the screen during my pit. Maybe next year. I know this time of year you tend of have a lot to chose from when it comes to racing titles but if you’re a fan of NASCAR, this title is a must have. Putting this game in, I had no idea how complex and in-depth this game would be. The graphics are excellent and racing physics is definitely something to experience. Crank up the surround sound let the engines rumble through your living room. Head to the garage if your car needs a fresh coat of paint or a tune up. Features are one thing Inside Line doesn’t lack. I've got a whole new respect for this series and I feel its only going to get better. Sometimes you need to take the Inside Line if you want to be on top.